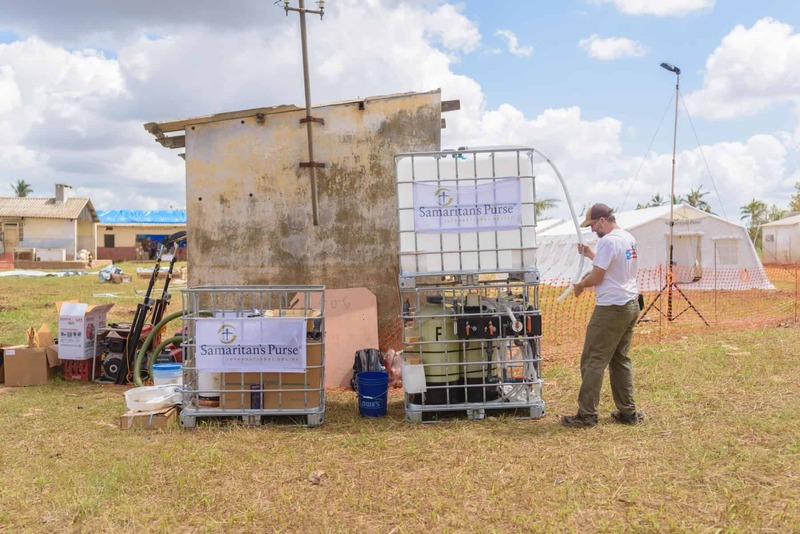 Canadian, Peter Roebuck, sets up a water treatment system in Mozambique. 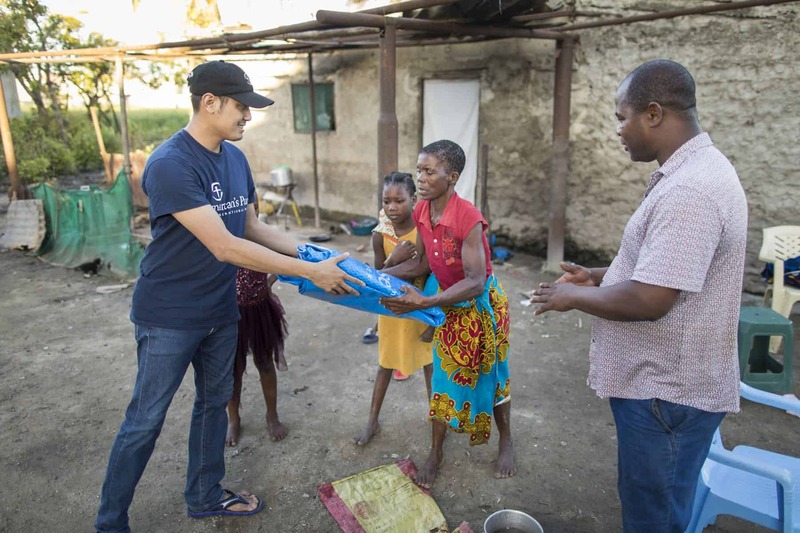 Peter is from Ottawa and is serving as the WASH (Water, Sanitation & Hygiene) lead for the team. The Emergency Field Hospital can be seen in the background. 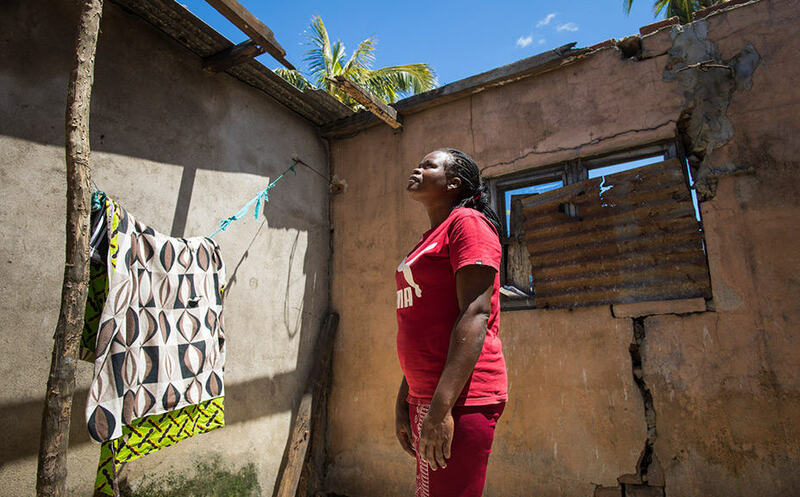 Maria receives tarpaulin from Samaritan’s Purse after losing her roof to Cyclone Idai.